Over 20 years have passed since the General Conference of UNESCO called on the nations of the world to adopt more effective legal initiatives for promoting all forms of exchange of cultural objects, including loans and exhibitions. This unique new work examines how those nations have responded to the challenge and provides a detailed analysis of the legal and practical mechanics of art lending. 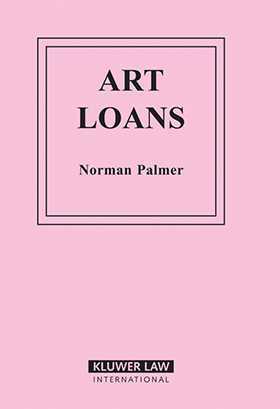 Drawing on four years' research and an unrivaled knowledge of the common law of personal property, the author explores the pitfalls which lurk within every art loan, charts the modern trend towards achieving uniformity, and assesses the place of the modern art loan as a medium of cultural exchange. an analysis of the attitudes of museum officials and others to the operation of law and practice in the field. Its thorough coverage in this under-examined area makes Art Loans an essential point of reference for museums, private collectors, companies involved in art lending either primarily or incidentally, and their counsel.